For Office Manager Appreciation Week, Managed by Q is highlighting the people who keep teams happy and productive. Carissa Spencer is the Office Manager at Concord, a platform for contract management, where she works to support their growing team and implement a strategic approach to people operations. Carissa is driven by her empathy and compassion for others and brings a humanizing, but efficient, approach to office management. 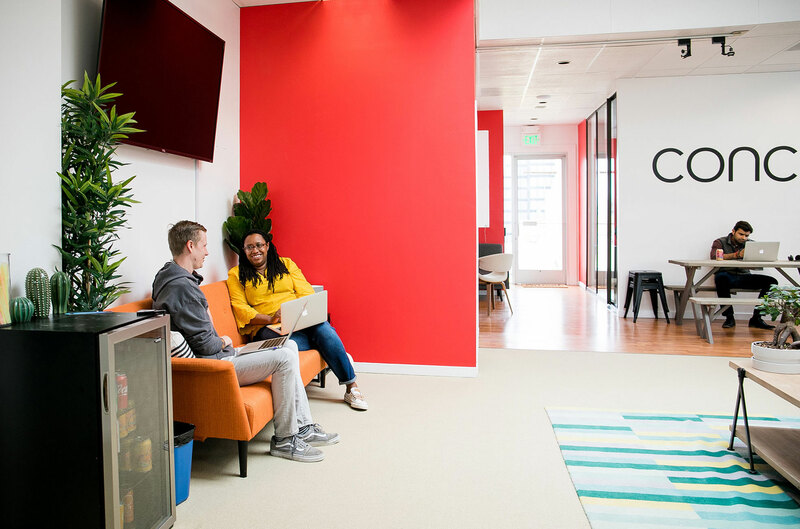 We talked about the lessons she learned in her previous roles in film production and office management, and how they prepared her to help Concord scale. What brought you to office management and what made you decide to pursue another office management role at Concord? I was in film production for over ten years. As a producer I was managing the set and making sure everything was ready to go when they called “action!” I really loved the work, but it was all freelance and I had to hustle to keep my name out there. I wanted something more stable and a friend suggested I look into office management. In film my workplace would change from location to location and I would constantly be setting up temporary offices on sound stages, so why not do this in one place? When I began my first office management position at Clara Lending, I realized that office politics were different than film in every way possible. In film I could be very blunt with someone if I didn’t like their behavior because I would never have to work with them again. In an office you see the same people everyday, so you have to put personality differences aside and learn to work together. It was a learning experience and I grew tremendously thanks to my team at Clara. I am forever thankful for that opportunity. In your new job at Concord, what’s a typical day like for you? What are some projects you are focusing on? Our team is growing faster than ever before, so the whole people operations organization and setting standard practices is really new. It’s all on me and I enjoy it, but it can be challenging. My day-to-day is never the same, except for making sure the cleaning crew did their job when I arrive in the morning. I’m still discovering what systems and materials we have. I could be tasked with setting something up, such as a conferencing system, and then find out we already have something in place. Just today my manager and I found a locked filing cabinet and, once we tracked down the key, unlocked it and found three laptops inside. On a day when I’m not finding laptops, I do a morning walkthrough, check to make sure our CEO’s meetings are all set, and review my schedule. Because our team travels a lot and we have a Paris office, I may need to coordinate with them as well. I check Hivy for any new employee requests, because there’s always something. I recently implemented it and I love it. As soon as I rolled out Hivy, the employee requests just started rolling in. I love that I have new things thrown at me everyday and I thrive in that kind of environment. What is one aspect of your job that you feel really passionate about? I love the people part. My team at Concord is weird, funny, and fun, as was my team at Clara. I love getting to know the different personalities that are in the office: the jokester, the super healthy, the foodie who knows where to find the all-you-can-eat ribs buffet. I want to know all that because that makes me a better office manager. 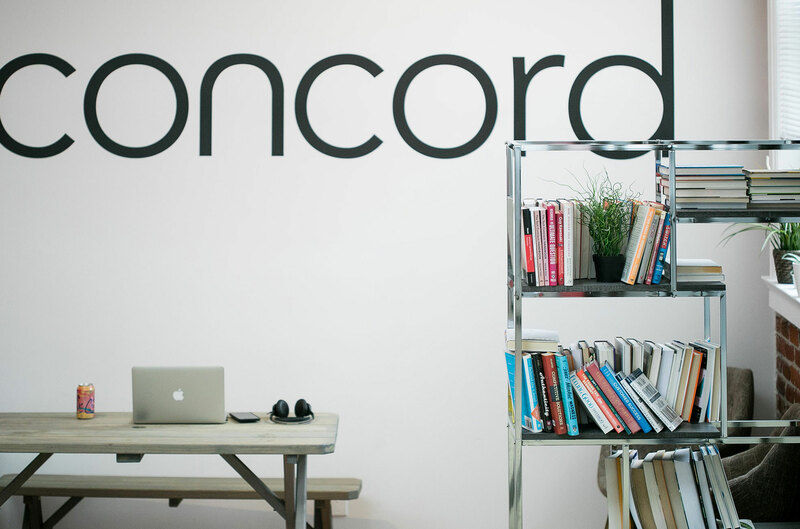 I’m building out our onboarding processes because I’m passionate about the idea that as soon as someone signs on the dotted line to join Concord, they have the most wonderful experience. You are always giving up something when you decide to work at a startup, so I want to make sure my team members feel great about being here. What’s a skill that has helped you in your day-to-day work? Empathy and compassion. We don't know what everyone goes through when they leave the office and I think being kind and thoughtful makes a better office. Kindness is what makes an office warm, cozy, and come to life. I hate seeing robots. We’ve all seen those offices that are sterile, where people are just working. I want people to be fulfilled and have happy, rich lives outside of the office, because when they come in to work on our product, they will bring that here. As an office manager, you have to take care of yourself to be a full person in the office, so that’s what I try to bring back into office management. If you were to give a piece of advice to other office managers, especially those just starting out, what would it be? It may sound cliche, but don’t be afraid of failure. It’s going to happen and it’s going to happen a lot. You’ll think you’ve got something and you’ll show your executive team and they will say, “it’s not what we were envisioning.” It doesn’t feel good, but you can take constructive criticism and turn it around. From failure comes a lot of amazing things, but only if you admit to the mistake and what you did wrong. Ask, “Can we talk again about what it is that you want so we can be really clear.” Be willing to give the same to people that you work with on your team. Figure out how you can work together to get them what it is that they asked for. You may find solutions that were even better. And when you fail, learn to let it go. You’re human, you’ll figure out how to fix it. Surprise them by saying thanks—in a big way. The office managers who receive the most cards from their team will win our grand prize. We’re giving away daily prizes to say thanks for all that you do as an office manager. Because you deserve perks, too.